You can count on us to be there when we say we will. NO WAITING AROUND, wasting time only to find your professional cleaner isn’t coming that day because of weather, sickness, vehicle problems blah, blah, blah. If we absolutely cannot be there because of nuclear war, an earthquake, or an asteroid slamming into the planet, we will call and notify you (providing there is still phone service!) Or else, we’ll buy you 2 movie tickets! PS Keep your phone on – no cheating. You don’t need to move a thing! Our cleaners will safely and carefully move things out of our way – you don’t need to move any furniture, remove any blinds or curtains, or clean up after us when we are gone. You just sit back with your favourite book, a cup of coffee and relax while we do the work and make your glass look like brand new. We offer a 7 day rain and bird strike guarantee! This means if your windows suffer from rain, dust storm or bird mess (this includes the mess they make hitting glass because they can’t see it because it’s so clean) within 1 week of original clean, then let us know and we’ll be back to touch it up for you for free. We guarantee our cleaning to be of the highest standard. In the unlikely event of you not being completely happy with the work, please report your concerns within 24 hours of the job being completed. We will arrange to return and rectify your concerns. We promise that you will be completely delighted with our service and the window cleaning that we provide. 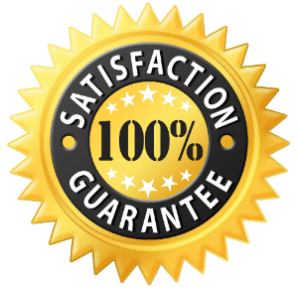 I have now used Get It Clean for a number of years on many diverse projects – Reliability, Punctuality and Professionalism is what I have always experienced and would not hesitate in recommending Steve and his team to tackle any task.